Working at Pizza Hut® is about making hungry people happy. It’s about being independent and having fun, making new friends and earning extra cash. If you’re ready to take the next step in your career in restaurant management, our Shift Supervisor position is the right place to do it. Working as a Shift Supervisor will let you develop your management skills while still having the time to do the things you enjoy. You’ll benefit from our training and career opportunities and receive reward and recognition for your efforts. 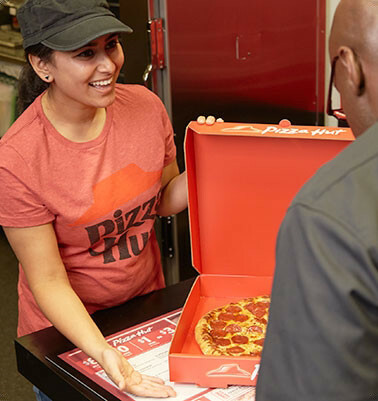 If you are looking for an exciting opportunity and to build a career in an innovative and dynamic organization, submit your resume by clicking on Apply Now below.Pizza Hut Canada encourages applications from all qualified candidates. Contact our Guest Services Representative online if you need accommodation at any stage of the application process or want more information on our accommodation policies.